We recommend feeding "free choice"; that is, letting them eat as much layer feed as they want and leaving their feeder out at all times (although you may take it up at night if you like). 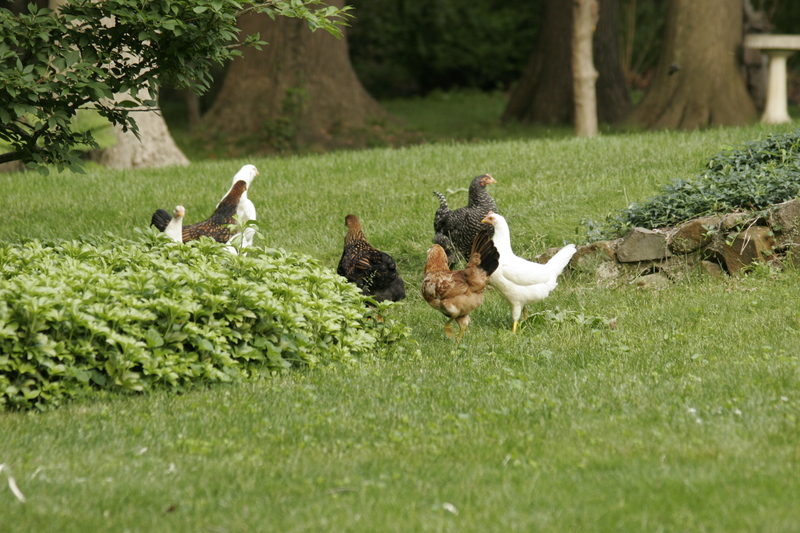 Even if your chickens have access to pasture, free ranging simply supplements their diet. Chickens will eat as much food as they need to keep themselves healthy. Some breeds may be able to barely subsist in good weather by free ranging (although this is unlikely, as chickens are domesticated animals, not wild animals), but most will simply starve if you don't provide them enough feed. Your flock does need access to pasture, but they need chicken feed, too. They will also be healthier and lay better if their bodies are not stressed out by undernourishment and nutritional deficiencies. In the spring and summer they will probably eat significantly less feed than in the fall and winter if they have access to range, but they will still need that base feed to keep them going. In the winter especially they need calories to keep them warm, and in the fall they need protein because they will be molting and renewing their plumage. In the spring and summer they are usually laying their peak of eggs, so all those calories go to help produce the eggs and keep them in good condition while they produce. One of the worst mistakes a novice chicken keeper can make is to not provide enough food for their chickens, or to provide only scratch or corn rather than lay feed. Scratch/corn is a great treat, but it's just not a balanced diet that provides all your chickens need to maintain their health. Think of scratch as potato chips for chickens. Just like you wouldn't be healthy if you ate nothing but potato chips, your chickens won't be healthy if they eat nothing but scratch. Feel free to treat them with it, but make sure you also provide real layer feed, as much as they want, so they get enough protein and nutrition every day to stay healthy. What is the best brand of chicken feed? 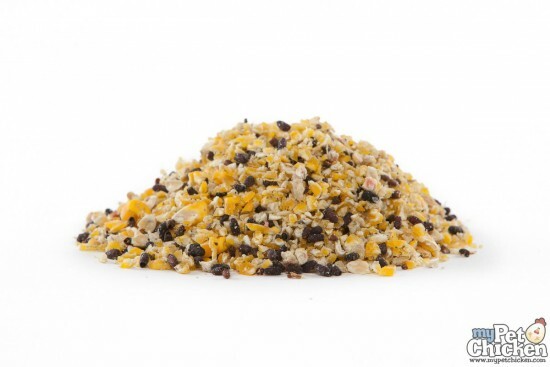 How much protein should be in my chicken feed?